Continuing my adventures with the Raspberry Pi I decided to go further then my silly little first project (Read about that here: http://www.patrickcorbett.ca/?p=76). I decided to host a minecraft server on my Raspberry Pi. After some minor issues I finally had that installed/configured and working fine. In fact, if you wish to see a video of how well it performs, you can see it here: https://www.youtube.com/watch?v=BAJzsAbD8x0 . After this I decided to get a bit more adventurous. Seems like a waste of potential utility just letting it be a Minecraft server for the occasional time I (or others) wish to play. So I decided to take it a step further. When I bought my house a little while ago, the previous owners decided to hook the outside power sockets to a timer inside the house. This meant they can easily program the outside sockets to power on when they wanted for events like Christmas. This is a great idea, but I found that during the summer if I want my backyard lights on the gazebo and trees to light up, I have to go down in the basement, open up a panel, select the times, etc… then at the end of the night (or later) reverse this process. So, I took a power switch that can be control through pins on various devices, such as the Raspberry Pi. I hook it up to the power source for the timer and put the time to be on 24/7. 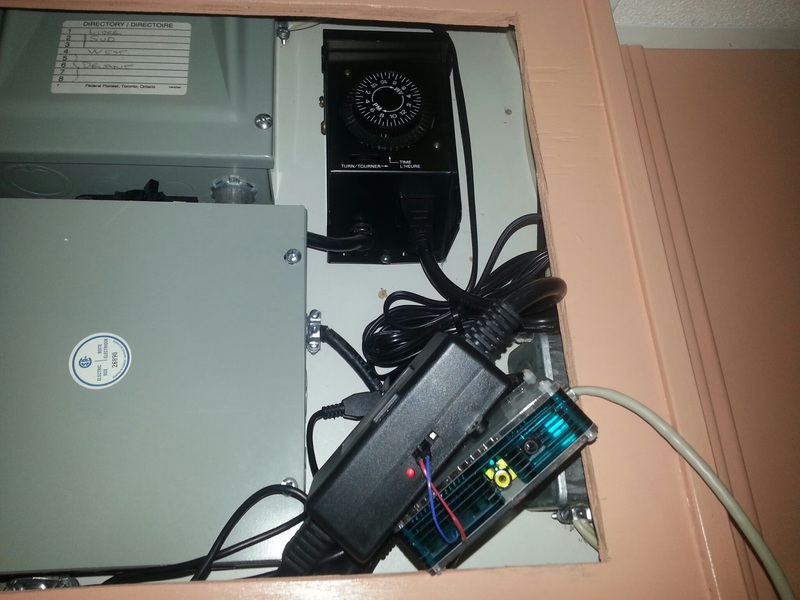 Then, wrote up a simply webpage that allows me to turn the power switch on or off. Thus allowing me to control the timer through an internal webpage. This of course was fun, but I figured let’s go a step further and make a simple android application for my phone that allows me to control the same function, but of course on my phone. 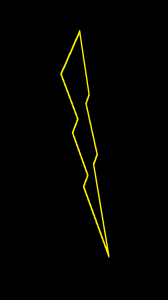 So I made a simple program with a lightning bolt. 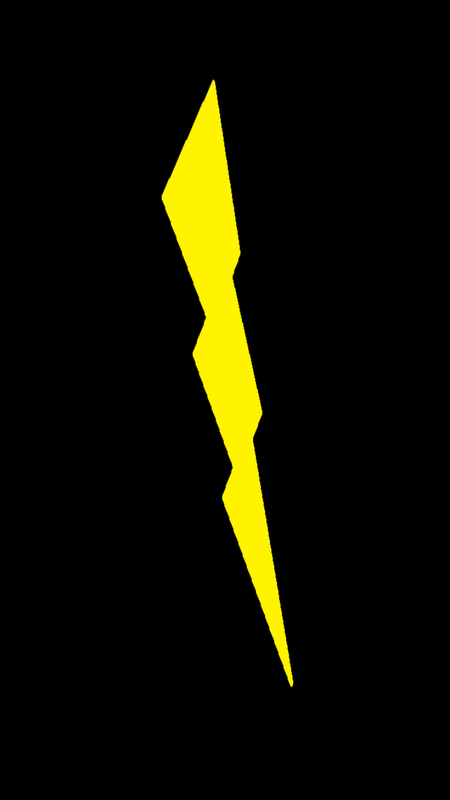 Power on, the lightning bolt is yellow. Power off, it’s black. Next step planned… Add to the webpage a simple interface that let’s me create a start/stop time. 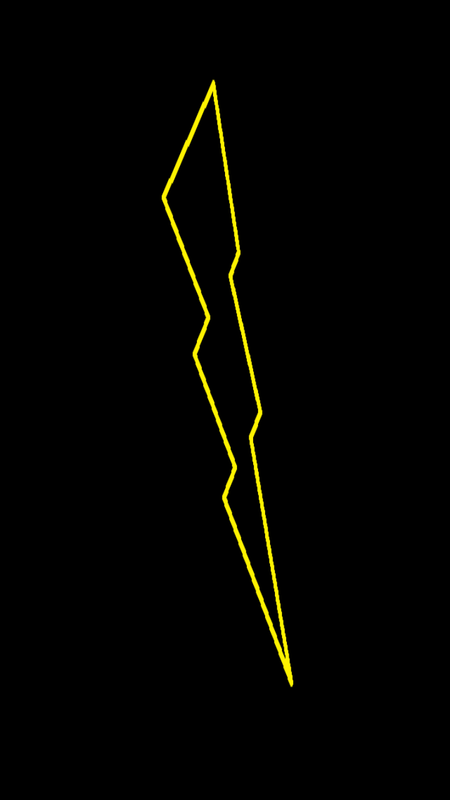 This way, I can control the Christmas lights when I want and how I want. Below are some pictures/screenshots of said setup. I have since snuggled the Raspberry Pi and associated cables and power into the area properly and with appropriate screws.